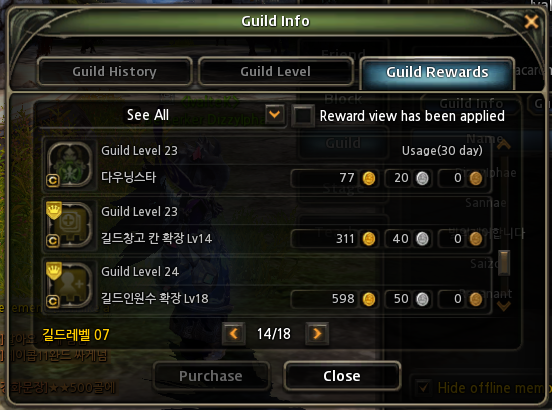 You can purchase guild buffs now, exp, repair, union point, guild exp buffs, discount buffs, you name it. You can even get guild emotes, titles, Covenant set (twin set to the gvg champion set.. and bonus effect is there as well!).. and that's 77g for horse glow effect, 311g for additional 10 storage slots (price for guild storage increases at levels.. there's cheaper 10 storage slots at lower levels not shown), and 598g to max guild to 200 members. 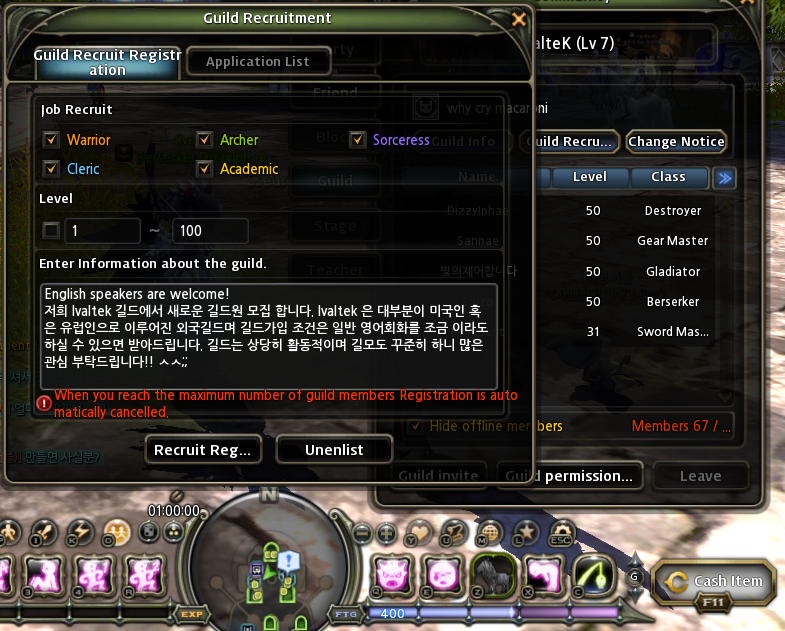 You can even post a recruitment bulletin seen by guildless players, which is pretty handy.